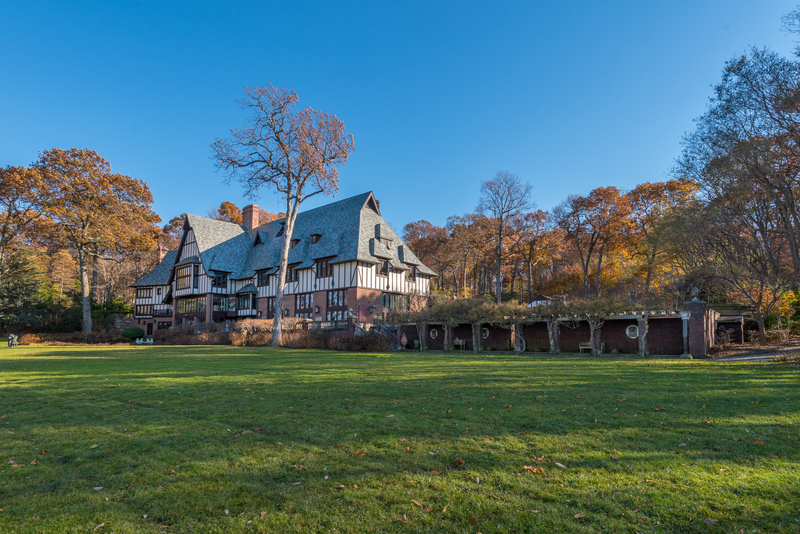 Sassafras is one of Long Island’s most special estates. 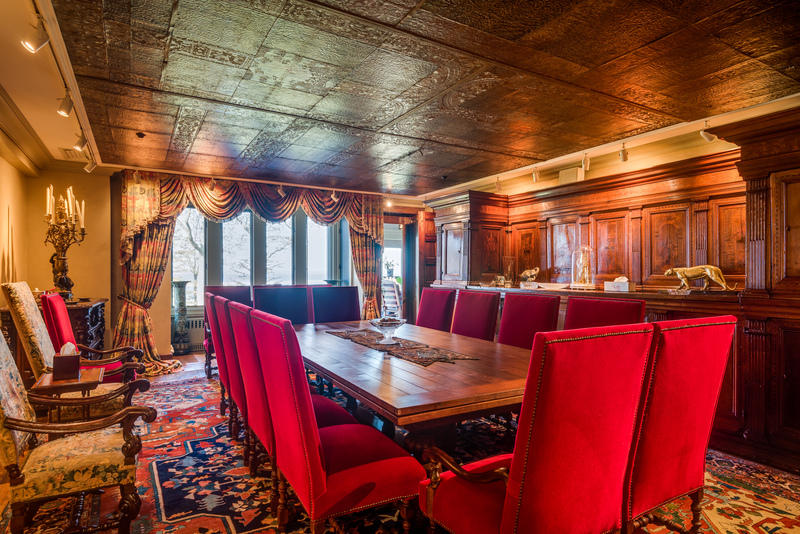 The 47-acre waterfront property is one of the Gold Coast’s largest private landholdings. The present owner designed the home paying homage to the British architect Sir Edwin Lutyens, incorporating traditional Tudor architecture and the vernacular styles of south-east England style into a timeless masterpiece. 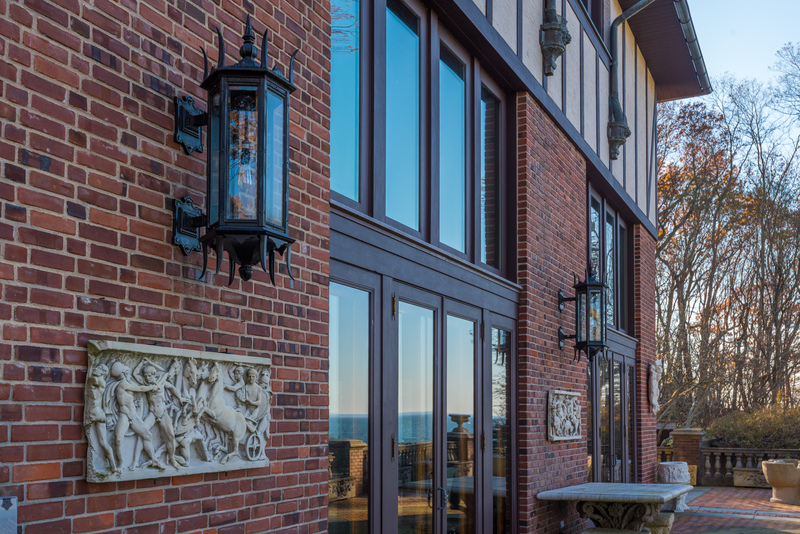 A rare find in Lloyd Neck, sheltered within its own private cove, sits the 20,000 square foot estate consisting of a main residence with 25 principal rooms. 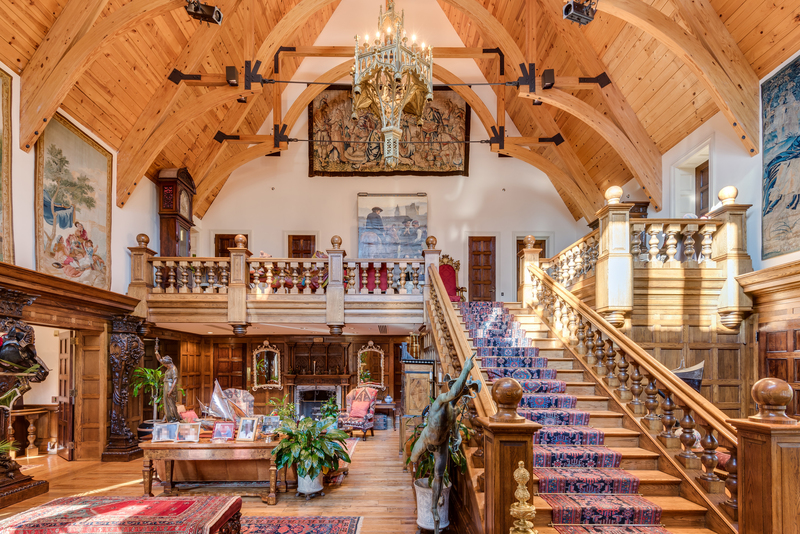 Greeting visitors, the lavish grand entrance with 48’ Cathedral Ceiling leads to the great hall, study and formal dining room complemented by a wrap around outdoor terrace with commanding water views. 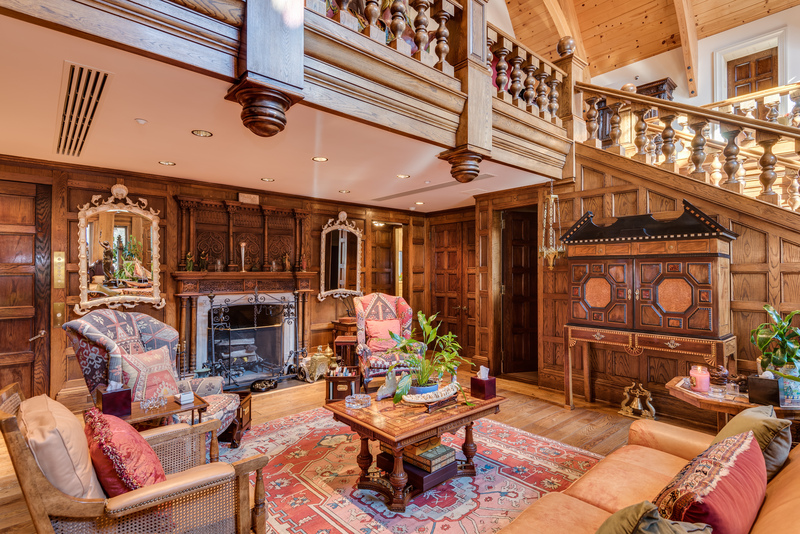 A baronial living toom has an substantial.fireplace. 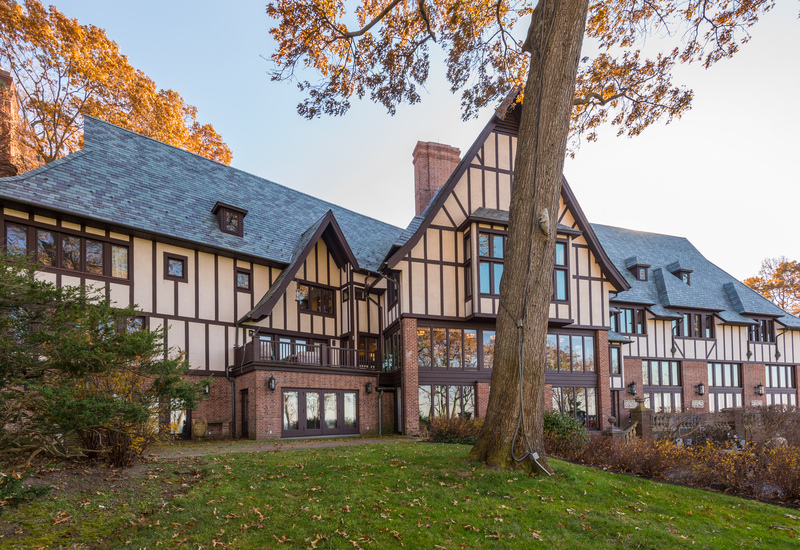 The main house has eight bedrooms and eight full and four half baths, enclosed dining veranda and a master suite offering 120 degree views of Long Island Sound and Connecticut. 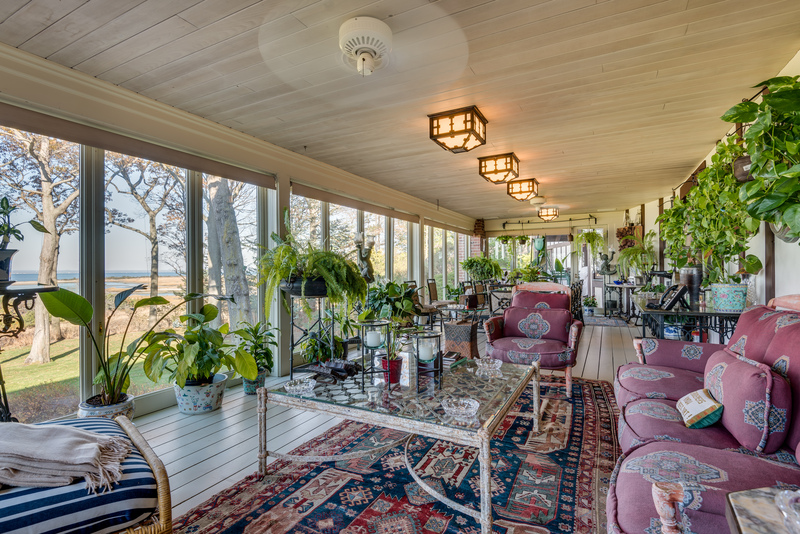 Also on the grounds are two guest houses, each approximately 5,500 sq ft, a Log Cabin “Tea House” with stunning sea views, tennis court, Beach Cabana with full Kitchen and deck. The grounds encompass extensive specimen gardens, exercise path, private beach with its own pier which can accommodate 3 jet skis, an 80-foot motor yacht, 24-foot sailboat, 30-foot speedboat and two maintenance/chase boats with three additional moorings. Complementing the al fresco entertaining lifestyle is the 30’ by 60’ pool, Gazebo with Bar, Bathroom and outdoor shower and hot tub. Lush gardens and manicured landscapes accentuate the gently sloping and level grounds surrounded by old growth conifers. 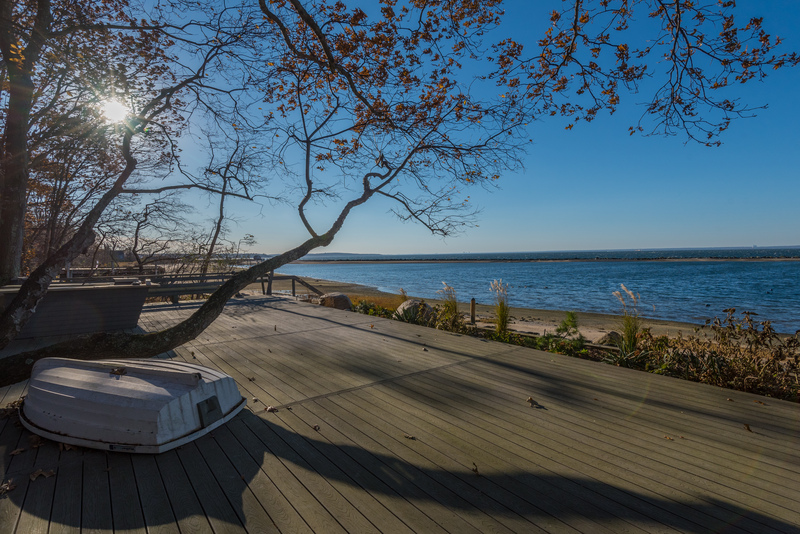 Perfectly secluded, Sassafras takes advantage of everything the North Shore has to offer; pristine beaches, Target Rock National Wildlife Refuge, Huntington Harbor Nature Conservancy and the 2,000 acre Caumsett State Park boasting horseback and mountain bike trails. 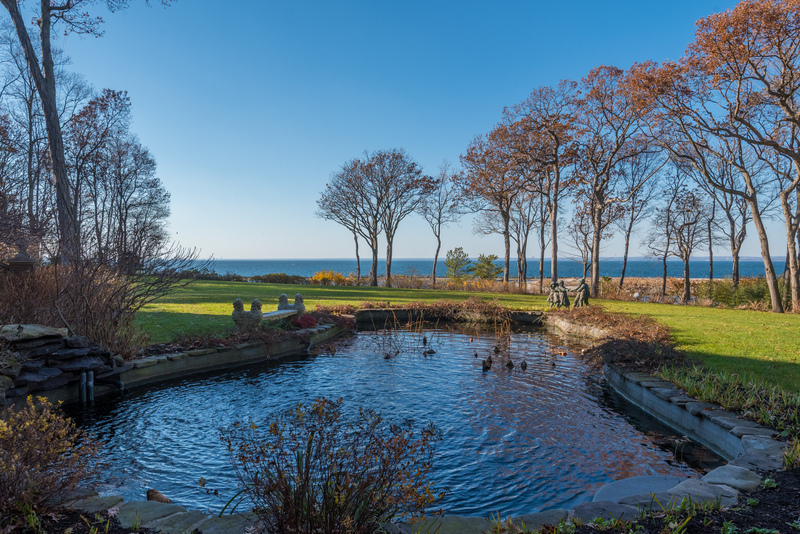 Approximately 50 miles, one hour drive to/from Manhattan by automobile or a 15-minute journey by helicopter accessible by two helipads conveniently located on the grounds of the estate, Sassafras of Lloyd Neck is a gem in the Gold Coast’s crown. 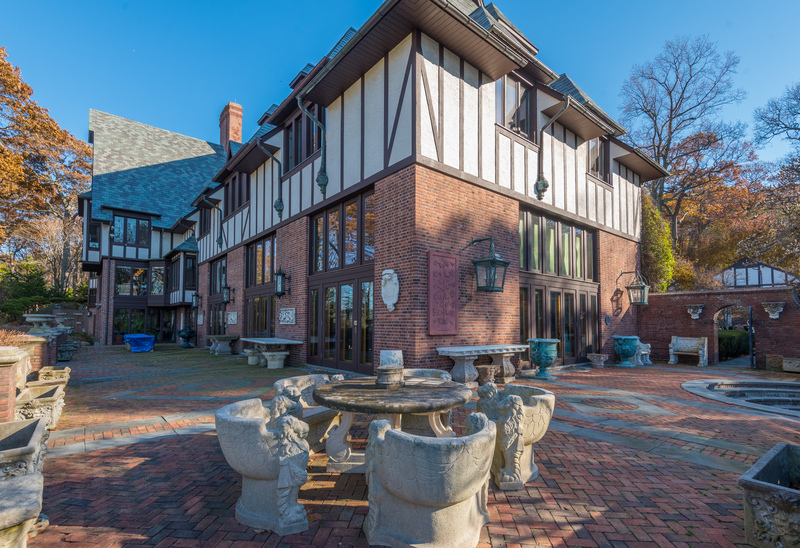 This property is listed for $55 million with Laffey Real Estate and is showcased by Luxury Portfolio.